Removing the Kim regime’s fears about regime change and reducing the insecurity caused by North Korea’s nuclear and missile tests to the US and its allies are the essentials that must be addressed in a UN-led multinational dialogue to forge a negotiated settlement. India needs to rope in one or more of the Central Asian countries, preferably Uzbekistan and Kazakhstan, in the Chabahar project, to fully exploit its potential. Prudent as it may have appeared to reconcile to the territorial status quo in the past, policy makers must ask themselves whether such an approach has really worked in India’s favour. The deficiencies in planning and training of personnel for disaster relief operations as well as the capability gaps in equipment that the response to Huricane Maria highlighted need to be plugged. India's ICJ Win: Triumph of Multilateral Realpolitik? The re-election of Justice Dalveer Bhandari to the ICJ is an endorsement of the multilateral diplomacy based on realpolitik that India has been practicing in recent years. To truly exploit this newly tested operational capability, IAF will have to augment its fleet of in-flight refuellers and train an adequate number of aircrew, mission commanders, fighter controllers and systems operators. 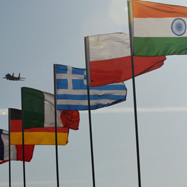 The Indian Air Force’s participation in Israel’s Blue Flag 2017 multilateral exercise adds an important layer to the matrix of cooperation between India and Israel. 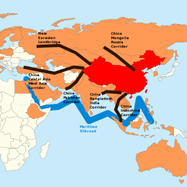 For the Belt and Road Initiative (BRI) to succeed, China needs to engage in serious and sincere dialogue with BRI participants, ensure respect for territorial integrity and sovereignty, uphold the internationally accepted norms of transparency and observe principles of financial responsibility, among other key issues. 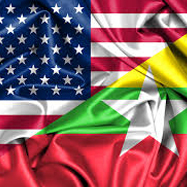 It may be appropriate if the US were to complement its substantial humanitarian and economic assistance by encouraging or even exerting pressure on Myanmar to implement the KAC recommendations. “Weapons differentiate between Air Forces and Flying Clubs” is an often heard adage. Weapons capability is an integral part of an Air Power matrix. In the last three months, a number of successful indigenous weapons trials in India indicate a positive move in the right direction even if a little late in certain cases and after multiple failures in others. 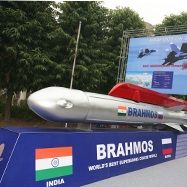 India’s dependence on foreign vendors for weapons and weapon platforms is well known and it is the largest importer of weaponry.